Aeratech Home Medical was started in 1999 by a respiratory therapist who wanted to reduce the prolonged hospital stays for patients with complex respiratory conditions due to delays in obtaining the proper equipment they needed to go home. Today, we work closely with hospitals, physicians, and caretakers to better serve respiratory patients. We collaborate with many of the best hospitals and clinics in Ohio and surrounding states, including Akron's Children, Cleveland Clinic Children's Hospital, Medina General Hospital, Mercy Children's Hospital, Nationwide Children's Hospital in Columbus, Pittsburgh Children's Hospital, Rainbow Babies & Children's Hospital, Regency Hospital, Southwest General Hospital, Toledo, University of Michigan Ann Arbor, Wadsworth-Rittman Hospital and West Penn Hospital in PA.
Aeratech Medical is accredited by Healthcare Quality Association on Accreditation. 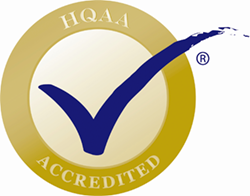 Healthcare Quality Association Accreditation is a symbol of quality that reflects our organization’s commitment to first class care.